At this time last year, Justin Edmund was a Carnegie Mellon University communication design major getting fitted for his cap and gown. Now he's the product designer for Pinterest, one of today's hottest new websites. 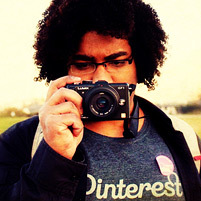 Edmund (A'11) was recruited by the virtual-pinboard/social networking startup fresh out of school. In under a year, he's played a central role in helping Pinterest become TechCrunch's best new startup and one of Time magazine's 50 best websites of 2011. Amazing, especially considering he'd attended a New York high school of the arts as a vocal student. The multi-talented youngster had noticed his artist friends couldn't create their own websites. Simple — he learned to do it for them. 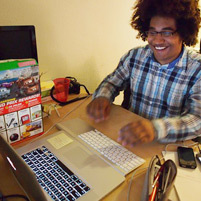 Edmund made the switch to communication design when he entered CMU, but maintained his interest in web design, adding computer science classes to his curriculum. He was headed toward design studio client work until one fateful recruiting meeting. Lee Byron (A'08, CS'08), a Facebook designer, spoke on campus and a light bulb went off. Edmund was struck by the possibility of working at a tech company, of contributing to "the direction of the entire product." He interned at Facebook that summer and "loved it." He realized that he'd become part of an exploding demand for designers in Silicon Valley, long a bastion for engineers and programmers. "This is just the beginning," said Edmund. "There are so many startups out here and there aren't enough designers that are qualified to fill the positions. It's pretty crazy." He also happened to meet Evan Sharp, co-founder of Pinterest, and discovered that the concept behind the image bookmarking site was similar to a project he'd tackled on his own. After graduation, Sharp wasted no time in snagging Edmund as his product designer and eighth member of the fledgling company. 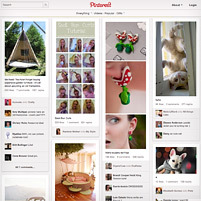 Pinterest now has 36 employees. And Edmund credits much to his time at CMU. "The interdisciplinary capabilities are tremendous," he said. "I know people from other schools that didn't even have the option to take non-design classes, while I was required. It's something I've always felt is one of the strongest things about the program at CMU." "All of my professors and other faculty members were really, really encouraging," he added. "I just got it burned in my head that if I wanted to do something, there was someone on campus that could help me do it." "'You're at CMU — you can do anything that you want,' they told me. In a lot of ways that turned out to be true."